Recent and forthcoming changes to tax for buy to let landlords in the UK seems to have dented confidence with new pieces of research showing many are set to re-evaluate their situation and put new strategies in place. One new report reveals that just one in five landlords believe there is still money to be made in the buy to let market even although many purchased buy to let property in the last three months to beat the Chancellor’s stamp duty reforms. The study conducted by online letting agent PropertyLetByUs, shows that 43% of landlords are considering putting their properties into a limited company to beat the tax rises. Some 5% of landlords have sold buy to let property because of the increased tax burden and 6% plan to reduce their property portfolio and invest their capital in stocks and shares. 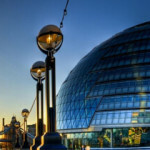 However, despite all the rhetoric about buy to let profits, only one in six landlords are seeing a reduction in their profits and many of them appear to have strategies in place to off-set the tax rises such as opting for incorporation, but they are also set to increase rents. The surge in landlords investing in buy to let property in the first quarter of 2016 has created a bubble of new rental properties in some parts of the UK, according to a separte report from research consultants BDRC Continental. 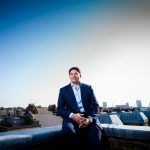 It suggests that in the longer term, it is likely that the tax changes will limit the supply of rental property and discourage potential new landlords from investing in the buy let market. The good news is that tenant demand will continue to rise, as unaffordable house prices push home owning out of reach for many people. 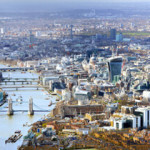 Indeed, according to BDRC Continental’s latest quarterly Landlord’s Panel research report confidence is at the lowest level since the research began almost a decade ago. ‘There are few happy ever after tales here. 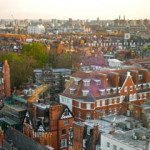 Many private landlords in Britain are really concerned about the impact of the 2015 Budget when tax relief on private rental properties was cut, and given the housing shortage, the potential knock-on effect on renters and the supply of rental homes is something that we all need to care about,’ said Mark Long, director at BDRC Continental. 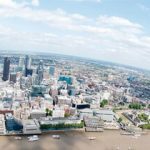 The report says that confidence in three key metrics has seen the biggest falls year on year; that’s business expectations for the UK Private Rental Sector, UK Financial Markets and Own Letting Business. Some 81% of private landlords with 20 plus properties believe that they will experience a decrease in profitability, twice as many as single property landlords. 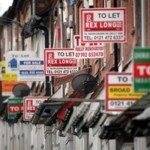 Landlords with buy to let mortgages feel hardest hit. Just 39% of those with a buy to let mortgage rate their short term prospects as good or very good, compared to 48% of landlords who are not leveraged. The research also shows that the trend of decreasing planned purchases and increasing planned sales seen in the previous six months has now reversed. 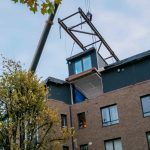 ‘This could indicate that the perceived impact of the Budget has softened slightly amongst some landlords, but amongst our respondents we saw some very strong feelings of disappointment and anger,’ said Long. A third of landlords are converting or considering converting to a Limited Company, but this is down from 41% in the fourth quarter of 2015. The drop can be partly explained by 7% now already operating as a Limited Company. This trend is much higher amongst the largest portfolio landlords, where 22% are already incorporated and 6% are in the process of doing so. Buy to let remains the dominant source of property acquisition funding. For borrowers the average amount outstanding on their mortgages is £723,000. The amount outstanding varies significantly by portfolio size, with the largest portfolio landlords in the sample owing 30 times more than single property landlords. Some 1% owe more than $5 million although the largest proportion, 32%, have loans of £199,999 or less. 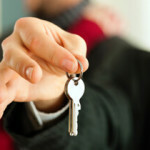 Landlord confidence may be down, but tenant demand shows no signs of weakening. 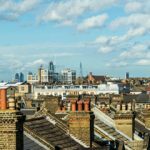 Some 39% of private landlords report increasing demand for rental properties in the areas they operate in, up 5% from the last quarter of 2015. Landlords with mid to large sized portfolios are particularly positive, with over 45% reporting increasing tenant demand. Despite negativity, 72% of private landlords believe that investing in and renting property is better than other investments. ‘Many Britons rely on the private rental sector, both the private landlords who invest in property and rent it out, and the millions of people who call those properties home. With almost a decade of data on the sector, and 36,000 interviews, we can identify trends and it’s clear that the current sentiment among private landlords is very low,’ Long pointed out.